We're only a few weeks away from Christmas, have you thought of what gifts to give? 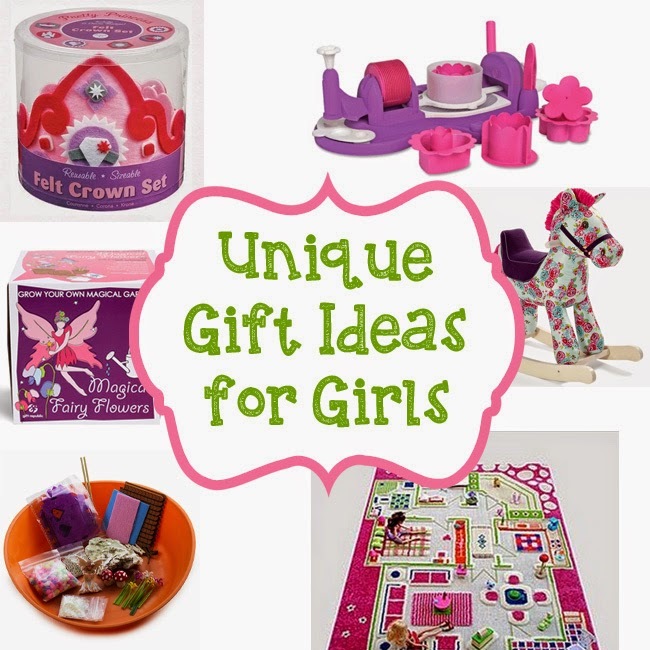 For moms who have girls, aunts and uncles who have a niece, grandparents who have a granddaughter, and simply anyone who would like to give a gift to a girl this Christmas, this compilation of unique gift ideas might help you in coming with creative gift ideas for your girls. Grow your own fairy garden with this gift box. This gift box includes everything needed for kids to grow an enchanting mix of fairy flowers. Kids will learn about nature and have fun whilst sowing and growing these magical flowers which the fairies will find irresistible. Luca and Company's 3D play carpets encourage imaginative and creative play. They are designed to stimulate and encourage children?s play in a creative, entertaining and interactive way with room for friends to join in! Imagine how happy your favorite little lady will be as she realizes the puzzle she's putting together has her very own name on it. 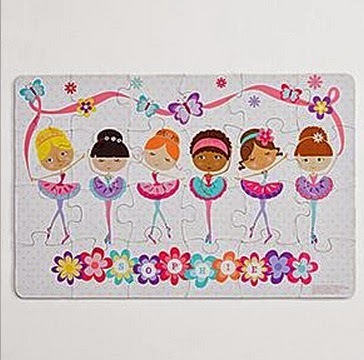 This high-quality puzzle contains 24 pieces and is a great way to help kids develop problem-solving skills while enjoying the beautiful illustrations of this keepsake gift. 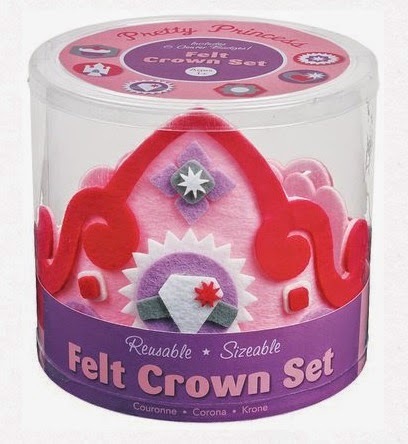 Create awesome multi-coloured jewellery with this great fab felt set! This miraculous set can easily make necklaces, bracelets, brooches and much much more! Make bracelets, necklaces and much more. The life cycle of the butterfly is a truly wonderful thing. 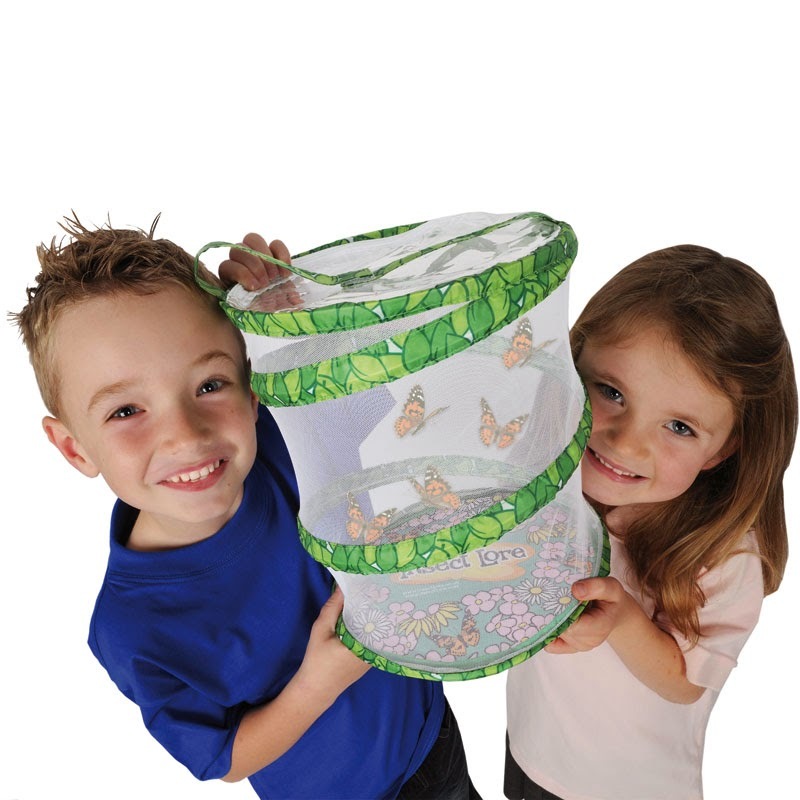 The butterfly Garden from Prezzybox is the best way to introduce this miracle of nature to your children. It also fits into your child’s minibeast study like a charm. Whether you’re at home or in the classroom, there’s no better way to get up close and personal with these astonishingly beautiful and fascinating insects. Give your children the confidence and self-expression they need to become successful in life with this super-fun Super Star Theatre. This easy to assemble fibreglass frame comes together to create a fantastic life-size theatre for your kids to play and act in. Complete with a dressing room, back stage entrance, Ticket Booth with cast photo frames, Show Time Clock, Refreshment Stand, wipe-off Marquee and 20 extra accessories, the Super Star Theatre is everything your child needs to feel like a Super Star! The Super Star Theatre helps develop valuable language skills, fine and gross motor skills and hand/eye coordination through acting and self-discovery on stage. The Ticket Booth and Refreshment Stand, complete with snack and price pockets, help develop numerical skills and are ideal of teaching about managing small amounts of money through play. Hone your child’s imagination with the Comedy Play Script included, and allow them to see how it’s done so they can try their hand at it, too! Let them use their artistic skills to create a show poster to replace the one that is included with the Theatre when they change plays. And when that curtain calls, see the pride on their faces as they display their cast photo on the Ticket Booth. Help your child develop their social skills, encourage parallel play and develop special awareness through on-set movement. And, when they’re tired of being in the spot light - they can use the 3 Hand puppets to create a different type of play altogether! Make your little Super Stars shine bright with this fabulous Super Star Theatre! Little princesses need little horses to carry them away on their adventures and play dates – we all know that! So what better than a beautiful rocking horse to do the job! Blossom is sure to make any little girl fall in love, with her printed floral design and pink mane; she’s the perfect companion for any adventure! Blossom has a beautiful plaited tail and an ultra-cute crinkle in her mane to make her even prettier, and has a solid wood frame and handgrips to ensure your little princess is kept as safe and secure as possible. Ideal for all children aged 24 months and above, Blossom’s softly padded and slightly raised seat provides added comfort for the weary adventurer! Best of all, when you press on Blossom’s ear, she neighs – cementing a life- long friendship! The pop up 3D boutique, is a beautiful pink palace fit for any little princess! Let your child use all their imaginative skills as they use this tent for role play by themselves or when there friends come over to play, and when their friends aren't round sometimes its just essential to rope mum and dad into having their makeovers done too! The pink pop up boutique is simple to put up with its 'pop up technology' and just as simple to put away, which is perfect for storage purposes when your little princess is tired after a long day at the salon! The compact storage bag included means that you can take this playscape anywhere, and on those sunny days you can venture it outside too! We all know how messy kids can be, but its polyester fabric means you can simply wipe it clean, keeping it looking brand new at all times! Watch your child have hours of fun and grow up with this beautiful play boutique! They say fairies are born when babies laugh, and everyone knows that fairies are perfect for making the world a more magical, happier place. 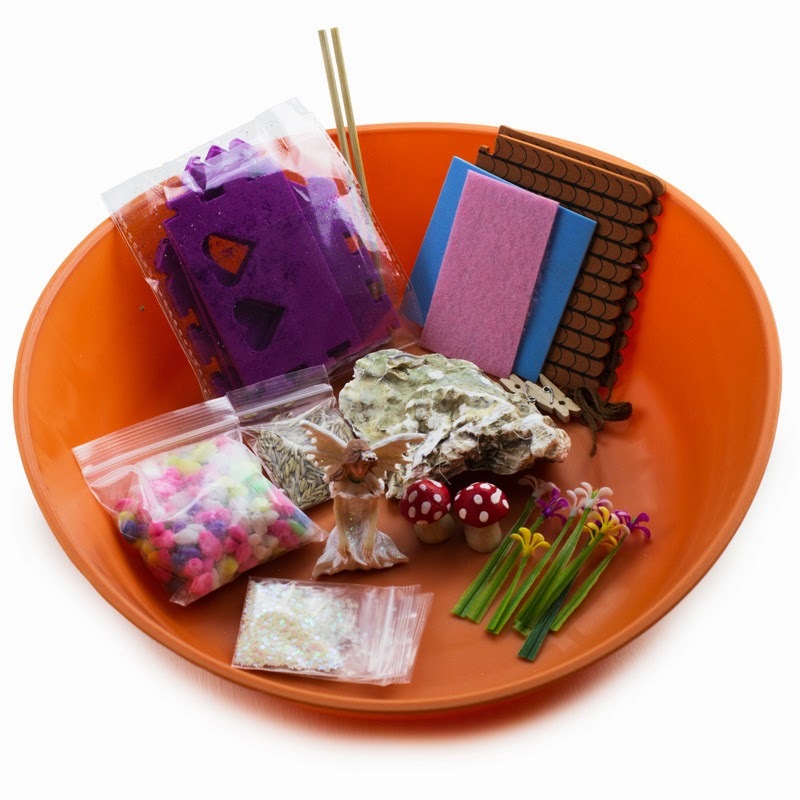 Help your little ones to make their world more magical with this brilliant Fairy Garden kit. 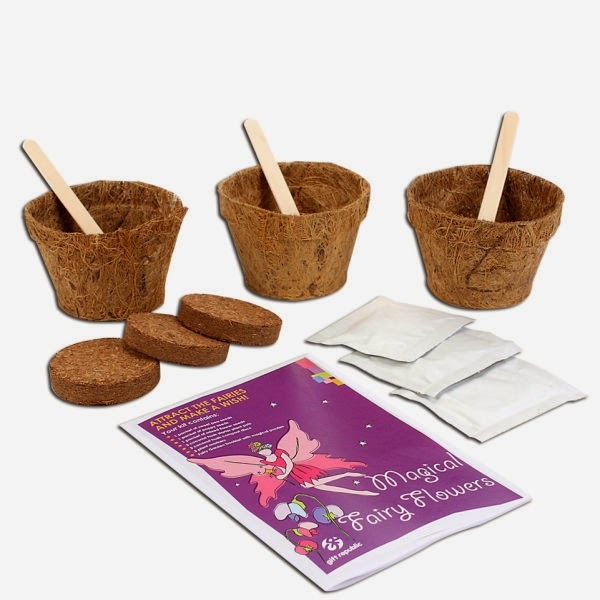 The kit comes with everything your little angels need to create their very own magical fairy oasis. Using the instructions, your little one can create a beautiful enchanted miniature cottage and a stunning fairy garden for their very own fairy to live in. Watch as your little angel learns all about taking care of a little garden, and make their dreams come true when you sprinkle a little of the magical fairy dust! This pretty princess felt crown set is a great shared activity for parties and play dates, and wearing the finished result is even more fun! This would also make a lovely art craft gift set for your girls, let them be creative and make their own masterpieces with this unique art craft set.